#36. 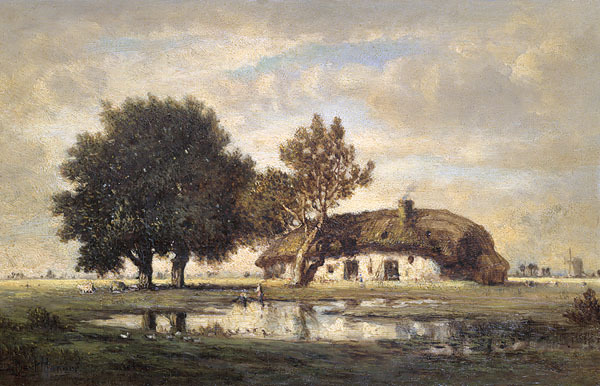 Landscape with Cottage. 9 x 14, oil on wood. "Gilbert Munger" lower left. 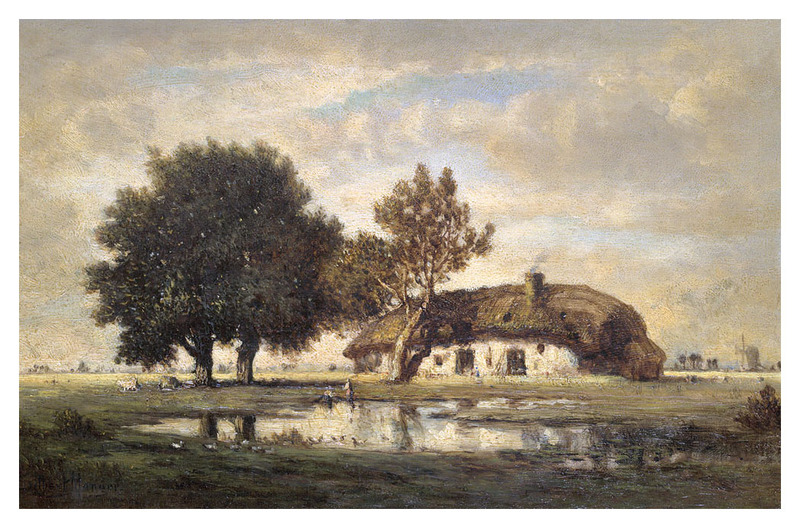 The cottage appears to be French and the style of the landscape matches other Barbizon paintings. Gift of Miss Jessie Mason Tilney in 1938 to Yale University Art Gallery, New Haven CT. IAP 07261368. QFD 62. Image from scan provided by Yale University Art Gallery.